Athletes training for at least 8 weeks are eligible to compete in these tournaments. 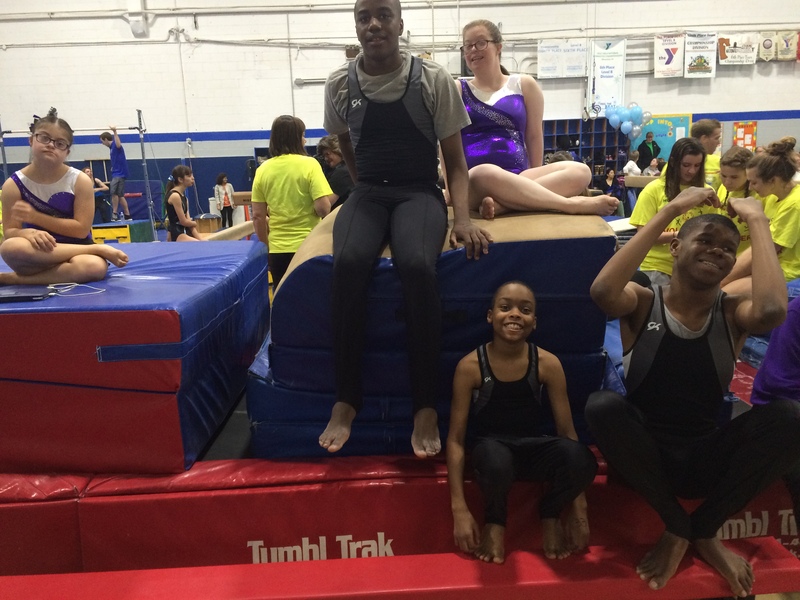 Special Olympics established Artistic Gymnastics in 1972. 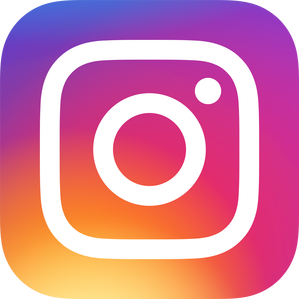 Artistic Gymnastics is a discipline of gymnastics where gymnasts perform short routines (ranging from approximately 30 to 90 seconds) on different apparatus, with less time for vaulting. 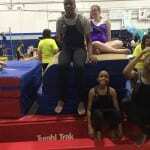 Vault, Single Bars, Parallel Bars, Horizontal Bars, Uneven Bars, Wide Beam, Balance Beam, Floor Exercise, All Around. 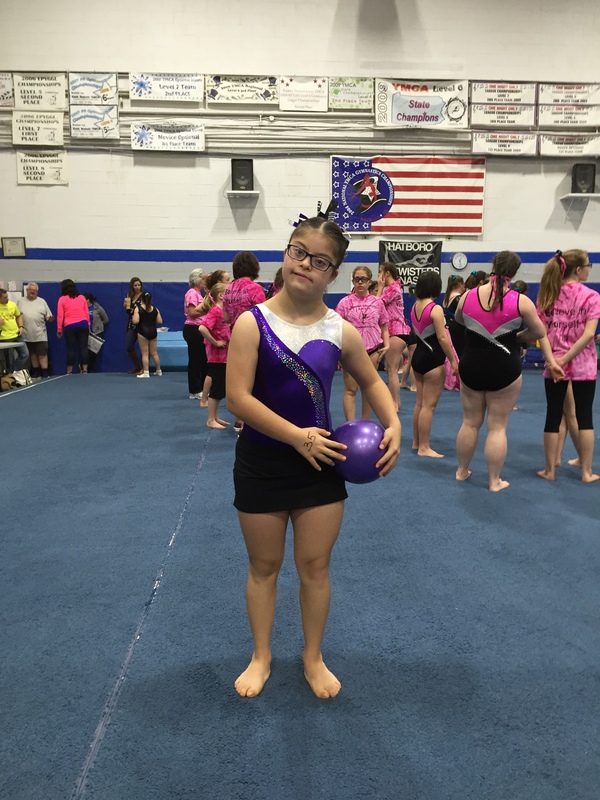 Rhythmic gymnastics is a sport that combines elements of ballet, gymnastics, and apparatus manipulation introduced to Special Olympics in 1990. 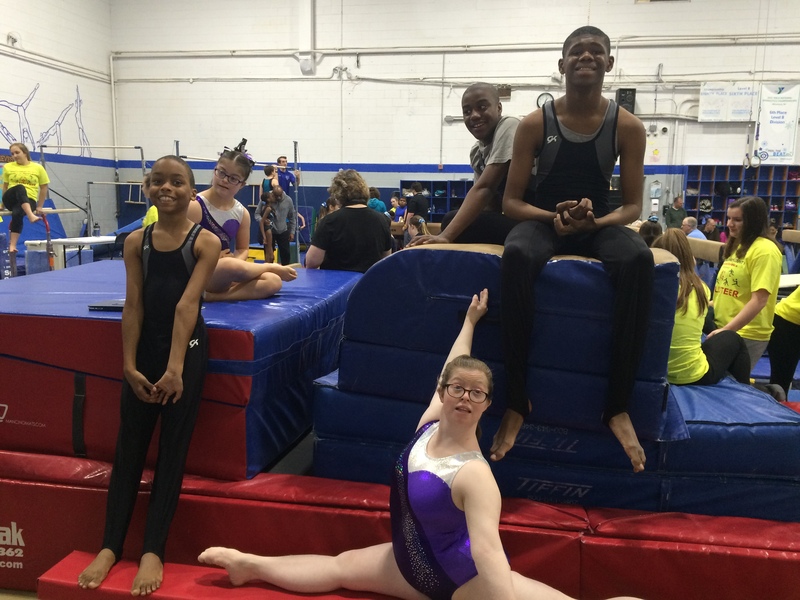 Gymnasts may compete in individual events or group (4-6 athletes). The hand apparatus used for individual and group are: rope, hoop, ball, clubs, and ribbon. There is also a Group Floor Exercise routine, which is performed without apparatus. 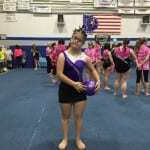 The Special Olympics Rhythmic Gymnastics program closely follow FIG rules, on a scaled down level of difficulty. In FIG, only females are allowed to compete in Rhythmic Gymnastics. At Special Olympics, males can compete in the lower levels. 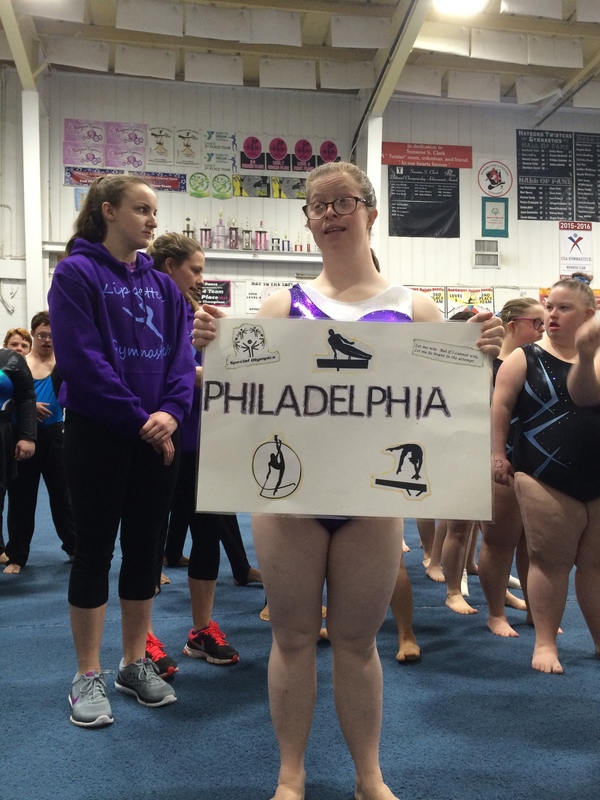 Special Olympics also offers a level of competition for athletes who perform seated, which is not included in FIG.